Healthcare cloud security has long been mistrusted by health IT professionals who had concerns about HIPAA compliance and more. However, this sentiment is beginning to change. 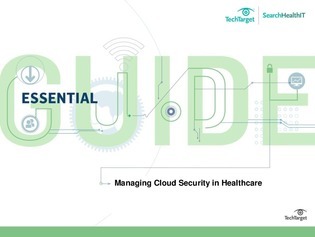 In this essential guide, learn how cloud-based security tools are becoming more widely accepted with healthcare CIOs and why the use of cloud security tools offers around-the-cloud protection.